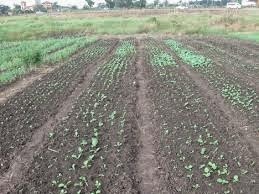 The Gujarat government on Saturday announced an organic farming policy, becoming the ninth state to have done so in India. The states that have already put in operation respective organic farming policies are Kerala, Karnataka, Andhra Pradesh, Sikkim, Mizoram, Madhya Pradesh, Himachal Pradesh and Nagaland. The policy document admits, the state government was forced to do it because of the failure to promote organic farming in Gujarat so far. Identifying major hurdles in the development of organic farming, the document emphasizes, there has been "lack of organized market support system, quality organic agro-inputs, professionally trained human resource, produce quality assurance, demonstration and training facilities", all of which have restricted "growth of the sector." It underlines, "Limited efforts have been made to document the experiences, data base and achievements. It is widely observed that there is a great need of 'hand holding service' during the conversion period of initial three years including technological, market support, social and emotional support." All this has happened despite the fact that "organic farming is a vast field with many sub fields and subjects." Pointing to the reason behind the policy, the document says, there is finally a recognition of "the adverse impact of excessive use of chemicals on soil health and human health", and realization that "organic farming addresses soil health, human health and environmental health and is eco-friendly". Hence, it "appears to be one of the options for sustainability", the document adds. Refusing to give three cheers to Gujarat agriculture, even though it is projected by Government of India as a "sucess model, the policy says, there has been an "indiscriminate and excessive use of chemicals" in the recent period, putting a "a question mark on sustainability of agriculture in the long run". It adds, this has called for the need for "attention for sustainable production" for addressing "social, ecological and economical issues." The problem has for further aggravated because "in Gujarat 68.43% of land is undergoing desertification", the document underlines, adding, "The most significant process is water erosion (34.64%) followed by salinasation (14%) vegetal degradation (13.97%) and erosion (2.77%)." It goes on to add, "Ground water of 31 talukas are over exploited, 22 districts have nitrate more than permissible level." Pointing out that it is against this backdrop the Gujarat government has come up with the organic farming policy, the document says, at this stage, it would focus mainly on "field crops, horticultural crops, forestry and animal husbandry." It announces the setting up of a Gujarat Organic Production Certification Agency (GOPCA), a society under aegis of Department of Agriculture, where those seeking advantage of the policy -- market and subsidy support -- would required to be accredited. "The new policy shall compensate registered organic producers by subsidizing 25-75% of the certification fee under individual farm certification", the policy says, adding, "Only organically certified produce with due traceability can only be supported under the policy." The document speaks of giving interest subsidy as well, but without quantifying it. It merely says, "Interest subsidy shall be provided to the farmers, farmer’s producer’s organizations, organic processing units to minimize the burden of loan at during conversion period and for infrastructure development."